●Description: Silent Check Valves are designed to prevent backflow in the system in case of a power failure or a change in the flow characteristics. In backflow conditions, the disc, guided by a stem, closes due to a spring mechanism and achieves sealing. Due to the spring driven mechanism, valve closes very fast, providing non-slam closure. Drip tight sealing is achieved by metal-metal or metal-resilient sealing mechanisms. In normal flow conditions, disc is opened by the flow and globe shaped body provides minimum pressure loss. In Foot Valves, an additional filter is used in the inlet of a Silent Check Valve. 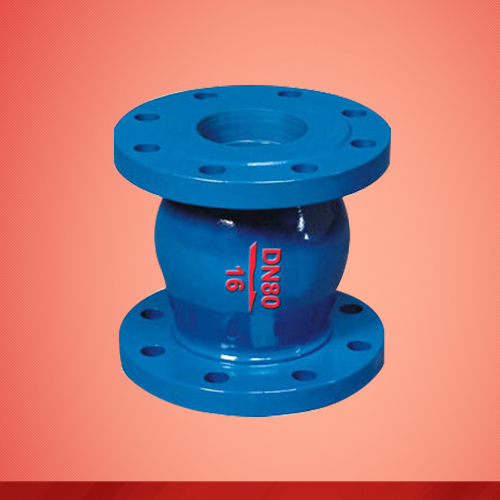 These valves are used in the suction pipes of the pumps to prevent the drainage of the suction pipe. Furthermore, stainless steel filter prevents residuals from entering the system.